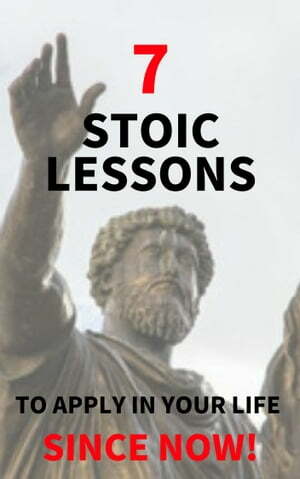 Collins Booksellers - 7 Estoic Lessons To Apply In Your Life Since Now! by Tarasido Maccaa, 9780463382257. Buy this book online. 7 Estoic Lessons To Apply In Your Life Since Now! As a result, we allow ourselves to be seduced by processed food, junk television, football, sofa, constant leisure and the excessive consumption of unnecessary things. If I told you that changing your philosophy of life can help you, you would probably hesitate. Surely it has not served you much. But in classical Greece, there were philosophical schools that were not limited to intellectual exercises. His ultimate goal was to teach to live, to teach to make better decisions. Of them, my favorite is stoicism.